Photo A Day: Mean Pansies! In honor of getting a new camera and needing a reason to play with it…welcome to my Photo A Day! Topic: Whatever strikes my fancy. Frequency: Daily-ish, I hope. Sure, of course, pansies are beautiful, delicate little flowers that bloom in the spring and are extra-precious because they have elfin faces and you just know they uproot themselves and dance around at night and it’s always fun to anthropomorphize a plant, isn’t it? Particularly if it can be anthropomorphized into something sprite-like and magickal (with a k, not a typo), right? Please…don’t feed them after midnight. 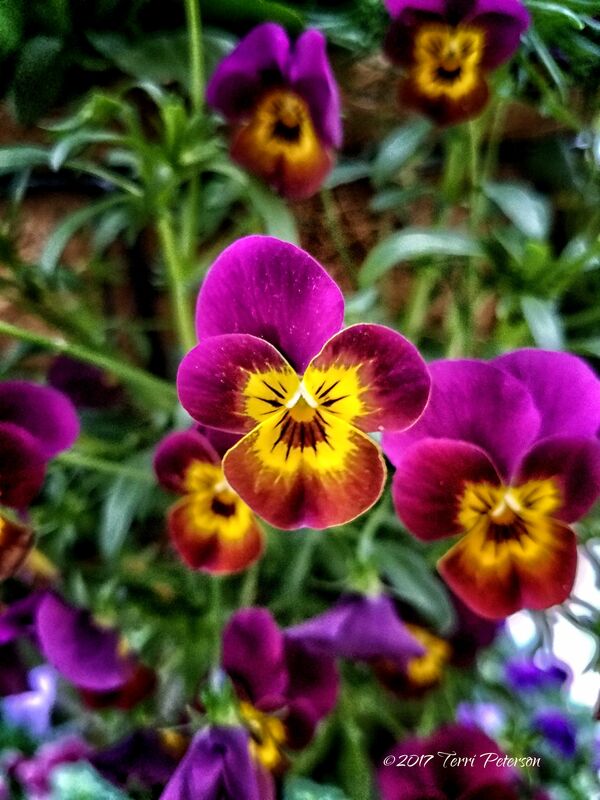 Tell me, plant people, why do THESE pansies look like they’re ready to nibble on my soul? You know the part in the movie Carrie when her mom–and I mean the original 1976 version of Carrie, so her mom as played by the inimitable Piper Laurie–tries to convince Carrie not to go to the prom, and she delivers the psychotic, chilling line, “They’re all gonna laugh at you!”? Yeah. That’s how this picture makes me feel. Stupid mean flowers. One more thing, lest I forget…Happy Mother’s Day!